This plugin adds our payment methods to your WooCommerce shop. But not only – it will also add Omniva, Itella SmartPOST automated parcel terminals and DPD Pick Up Network as delivery methods. Plus it automatically registers shipments to the carrier’s systems and allows you to print parcel labels right within the WooCommerce shop. Our plugin supports Multi-lingual WooCommerce shop based on WPML. You can install the plugin directly via WordPress Add-Plugin installation dialog, searching for MakeCommerce plugin. Our plugin adds the “MakeCommerce” option under the Checkout settings of your WooCommerce shop. 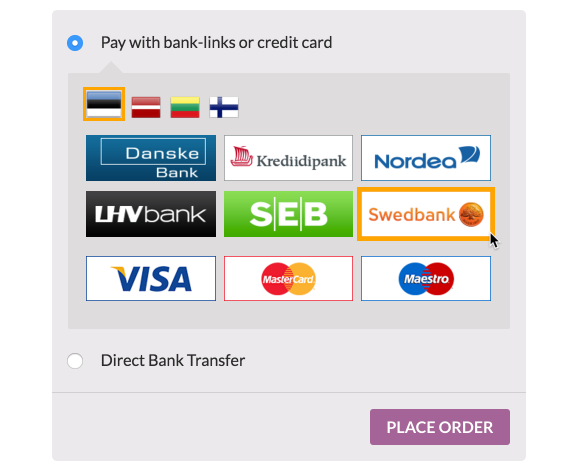 You can slightly configure how the payment methods are presented in the check-out dialog – change size of bank logos, hide the country selector (flags) etc. 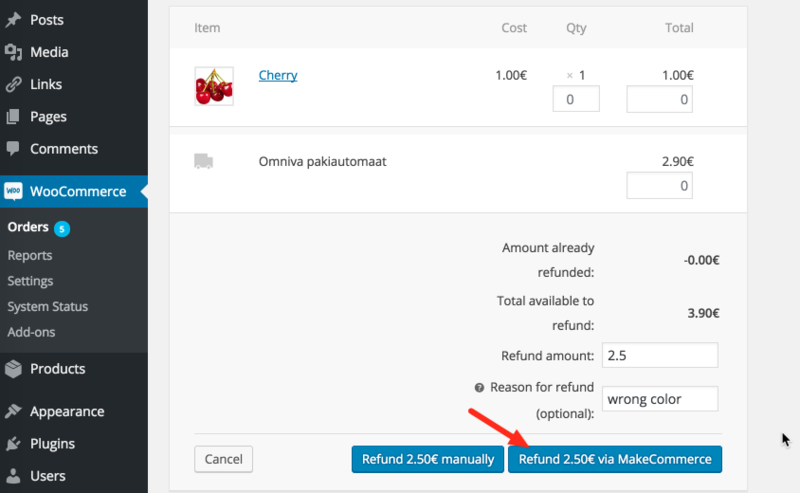 The plugin adds an easy way to make refunds to the orders paid through MakeCommerce. The shipping methods follow the generic logic of WooCommerce Shipping Zones – you can define their availability and price per zone, as well as purchase amount threshold for free shipping. It’s also possible to mark some of your products as “not suitable for Parcel Machine shipment”. The plugin provides your shop automatically updated lists of the Automated Parcel Terminals of these carriers. You can configure how the list of terminals are presented on your checkout page. If configured, the plugin will automatically create a new shipment in Omniva.ee system. The service type is B2C – no manual work or confirming is needed (or even possible) in Omniva business customer e-service. First you need to sign agreement with DPD. Once you have the agreement you heed to ask DPD for Interconnect account (contact your account manager or sales@dpd.ee). Enter Interconnect user name and password into plugin settings. After that the plugin is able to automatically register shipments to DPD system after the order has been paid through Maksekeskus MakeCommerce.